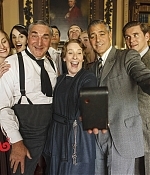 Watch this special ‘Downton Abbey’ sketch for Text Santa featuring special guests including George Clooney. 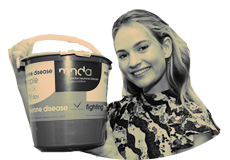 To donate, it’s here. I also updated the gallery with high quality pictures. Enjoy! Watch below the international trailer for ‘Cinderella’ featuring a few new scenes! 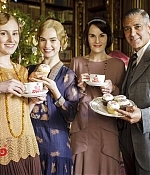 As you probably know, George Clooney will make a guest appearance during the Christmas Special of ‘Downton Abbey’ this year and here is a really short clip featuring Lily as well! Walt Disney Pictures has released a trailer preview for ‘Cinderella’. The full-length trailer’s debut on Wednesday, November 19 on ABC’s Good Morning America!